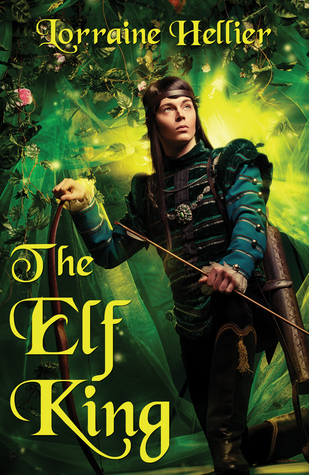 Lorraine Hellier’s children’s book The Elf King follows the story of a family of elves. Bay Leaf is the new Elf King. In this fantasy tale his sister, Sweet Pea, demonstrates her love and devotion for her brother. In the story, the elves go on a perilous journey to the Mountain Shrine where Bay Leaf must take his ‘Oath of Allegiance’ to the ‘Moon Lake Elves’. An enchanted book offers advice and guidance from their ancestors and warns Sweet Pea to take care of her brother several times during the journey. Bay Leaf almost loses his life… Sweet Pea supports Bay Leaf throughout the journey, but will her interference bring resolution to Bay Leaf’s heartache on their return? This traditional tale of love and loyalty will appeal to children aged between 7-9 that enjoy fantasy tales. Lorraine uses The Elf King to raise issues surrounding family loyality and the importance of supporting each other in difficult times. Lorraine writes from her canal-side home near the cathedral city of Lichfield, Staffordshire. She visits local schools offering Author Visits and Creative Writing Workshops. She is a member of the Society of Children’s Book Writers and Illustrators supporting and encouraging other members. Lorraine loves to travel, a visit to New Zealand inspired this novel. The sequel “The Elf Quest” will be published April 2018. Bay Leaf is the new elf king of the Moon Lake Elves even if he is not ready for this responsibility. He needs to travel to the Mountain Shrine and take the Oath of Allegiance to the Moon Lake Elves. But he is not ready to be king and he has others matters on his mind. Thankfully his sister Sweat Pea is there to help encourage him and help him use The History of Moon Lake Elves on his adventure. Together Bay Leaf and Sweat Pea have a huge challenge ahead of them. This is a wonderful fantasy story for mid-grade readers or anyone that loves fantasies. You have a young king that is not really ready to rule and has a forbidden love. His sister s still trying to get used to him being a king instead of her big brother, but is there to assist and support him on this journey. Of course you have action, adventure, and a great way to build a true leader. This is a wonderful story and one that I recommend that you check it out. The sequel should be out shortly and I can’t wait to find out what happens next. Thank you for inviting me to visit your blog. When I began writing Children’s novels I hadn’t anticipated I would be embarking on a series. The reason can only be because I didn’t want to let go of my characters! I get so attached to them they become my friends. Prior to this book I published a series of five. These were inspired by my time living and working in Guernsey, Channel Islands. 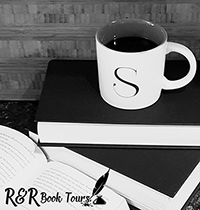 “The Elf King” is the first of a trilogy. 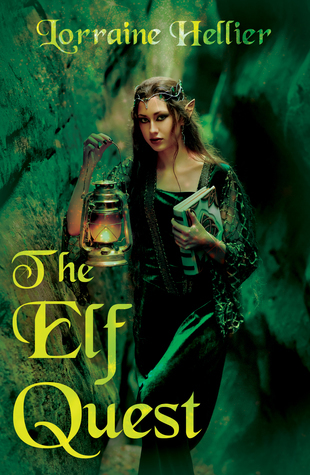 The sequel “The Elf Quest,” official publication date is April 2018 but copies are available now. I am presently writing the third book. I began “The Elf King” with the characters. I chose to name the female elves after flowers and the males after herbs. The novel is from Sweet Pea’s point of view but it is about her brother, Bay Leaf, the new Elf King, and the perilous journey they take for him to take his Oath of Allegiance. This first book centres round Sweet Pea and Bay Leaf’s family and friends and their love and loyalty. It is important when writing a series to remember to be consistent. You need to make sure you don’t change a character’s appearance, habits etc. For example Bay Leaf has a habit of tugging his earlobe when he is nervous or anxious. All writers have different methods of keeping track of characters and settings. For “The Elf King” I used brainstorming for the characters and a roll of paper with relevant information of family tree, the journey from their Moon Lake home to the Mountain Shrine, the generations of Elf Kings and details about the Enchanted Book. In 2015 I had the opportunity to visit New Zealand. I had just started the first draft of “The Elf King.” The spectacular scenery inspired me to take the elves on a journey. The lakes, mountains, waterfalls and rivers offered me settings for their expedition. In the sequel Sweet Pea leaves the security of her clan to search for another clan of elves to trade for moonstones. In the third novel readers meet with the three Elf Clans they are familiar with from book two. Moon Lake Elves, an affluent clan, Wood Elves, an ecological clan and the Wilderness Elves, rough and brutal elves. I have enjoyed writing this Trilogy. I wonder which of my list of ideas I will use next and if it be a series? Thank you for featuring my Children’s novel on your blog. Your support is really appreciated.